Excellence starts at the top. Our top leadership team at Biotex has laid a foundation for growth and development for all team members as well as for the company. As engineers themselves, they understand design principles, manufacturing challenges, and the effort it takes to bring a product to market. Dr. Gowda is a founder and CEO of the Houston-based medical technology developer and manufacturer, Biotex, Inc. To date, under his direction, the company has raised over $20M in non-dilutive funding, successfully licensed numerous early-stage technologies, spun out three separate companies (Visualase, Inc., Base Pair Biotechnologies, Inc., E-SAFE Medical, Inc.), all of which successfully raised private capital. At Biotex, Dr. Gowda oversees internal development programs as well as partnering activities, where the company works with other entrepreneurs and start-ups to develop and bring novel medical technologies to market. Previously, Dr. Gowda co-founded and served as Chief Operating Officer at Visualase, Inc., which was acquired by Medtronic for up to $105M in late 2014. Dr. Gowda is an active investor, advisor, and board member for a number of early-stage medical technology companies. Dr. Gowda has served as principal investigator on more than 15 NIH grants, authored more than 50 peer-reviewed publications and abstracts, and is an inventor on more than 20 issued patents. Dr. Gowda received his Bachelor of Engineering degree in Biomedical Engineering from Vanderbilt University and the M.S. and Ph.D. degrees in Bioengineering from Texas A&M University. 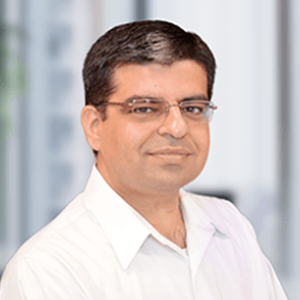 Manish Ahuja has over 13 years of extensive experience as Director of Research & Development in medical, laboratory and in vitro diagnostic devices. Mr. Ahuja joined Biotex in 2010. He currently leads cross-functional research and development teams comprised of industrial designers, software architects, developers and engineers to produce and sustain premium innovative medical products for BioTex and for our partner clients. He also directs and manages Quality Assurance and Regulatory Affairs. Before joining Biotex, Mr. Ahuja worked as Director of Engineering at Ansh Labs, LLC where he envisioned, architected, designed, tested and actualized innovative laboratory devices. Prior to that stint, he headed image guidance and interventional pain management groups while working as Director of Device Engineering with Minrad, Inc. At Minrad, Mr. Ahuja was involved in the development of a drug delivery system for human anesthesia and analgesia, supporting image guidance production, performing clinical trials, and improvement the reliability and marketability of the products. These products included surgical drills, liver tumor ablation, syringes, pain management, bone biopsy, soft tissue biopsy, and radiofrequency needles. Mr. Ahuja has extensive experience and special expertise in design and development of medical and laboratory devices in various franchise portfolios including but not limited to neurosurgery, interventional radiology, vascular system, pain management, orthopedics, general surgery, gynecology and urology. Mr. Ahuja holds an M.S. degree in Mechanical Systems and Design from The University of Texas at Austin, and a B.S. degree in Mechanical Engineering from the Indian Institute of Technology (IIT), Delhi. 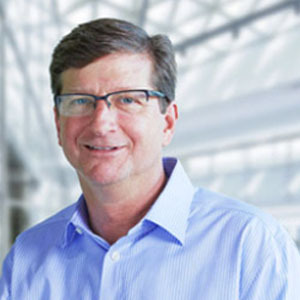 Charles Houssiere is the Chief Design Officer at Biotex, Inc. He leads design including mechanical and industrial, and operations throughout all current projects which Biotex manages for a multitude of local and international clients. He is involved in many projects in the areas of neurosurgery, cardiology, orthopedics, and respiratory medicine. He was lead engineer and manufacturing manager throughout the initial development and commercialization of Biotex's, Visualase Product line, and where he was the main engineering contact for the acquisition by Medtronic for up to $105M in late 2014. 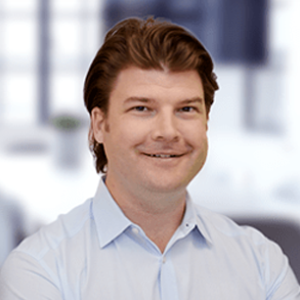 Prior to joining Biotex team, Mr. Houssiere has held positions in startup medical device development at several companies for the past 16 years. He has worked as a development engineer at Avail Medical (now a subsidiary of Flextronics) and Fairway Medical where he was involved in designing electro-mechanical medical devices ranging from optical implants to drug delivery systems to tissue incubation and transport solutions. At IDev Technologies (acquired by Abbott) and MicroNova, he was involved in their stent delivery and micro pulse oximetry projects. Mr. Houssiere received his Masters in Mechanical Engineering from Southern Methodist University in Dallas, TX in 2007 where he completed work in mechanical design using FEA analysis and electronic packaging. He received his Bachelors of Science in the field of Biomedical Engineering from Vanderbilt University in Nashville, TN in 2003. He is also a graduate of The Kinkaid School. He is involved in the American Society of Mechanical Engineers and Gulf Coast Medical Device Manufacturers. Mr. Marquette joined Biotex in October of 2018 as Vice President of Business Development. Mr. Marquette has more than 20 years of global, commercial experience with early stage health care companies. 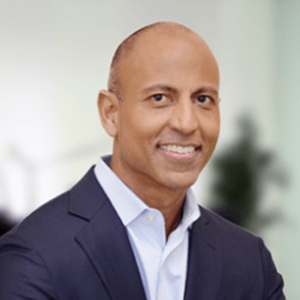 He has held leadership positions in marketing, sales, business development, and international at NeuroPace, Visualase (Medtronic), St. Jude Medical (Neuromodulation-Deep Brain Stimulation), Nanospectra, Cyberonics and EmCare. Prior to Biotex, Mr. Marquette has been a principal in significant value creation at 3 early stage companies leading to successful exits. As the 3rd commercial employee at Visualase (Stereotactic Laser Ablation), Mr. Marquette was Vice President of Sales and Marketing, joining to execute the full commercial launch which lead to the sale of the company to Medtronic Neurosurgery for up to $105M (more than 10X equity invested). During his 5+ year tenure, cumulative sales grew from less than $1 million to more than $80 million. Prior to Visualase, Mr. Marquette joined Cyberonics as the 2nd commercial person to execute the global launch of the VNS (Vagus Nerve Stimulation) Therapy System. During his 12+ year tenure, cumulative sales grew from 0 to more than $800 million and a market cap of $1.2 billion. Prior to Cyberonics, he was part of the management team that grew and sold EmCare for $400 million to AMR, Inc.
Mr. Marquette holds a B.A. in Biology from the University of Texas at Austin and an M.B.A. from Rice University.